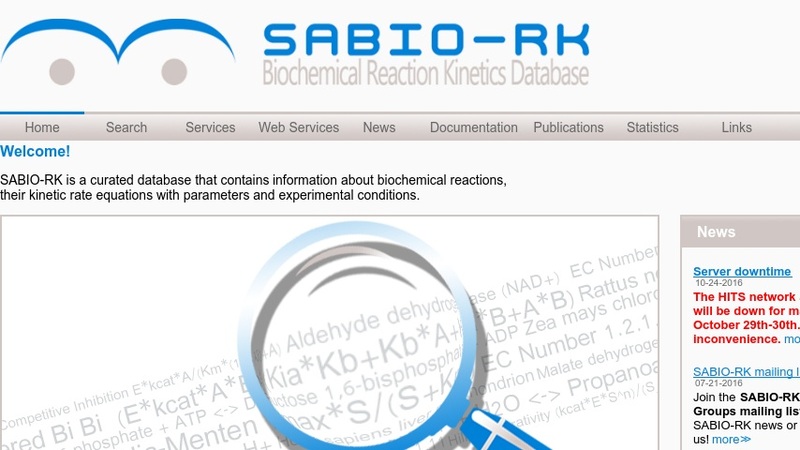 The SABIO-RK (System for the Analysis of Biochemical Pathways - Reaction Kinetics) is a web-based application based on the SABIO relational database that contains information about biochemical reactions, their kinetic equations with their parameters, and the experimental conditions under which these parameters were measured. It aims to support modellers in the setting-up of models of biochemical networks, but it is also useful for experimentalists or researchers with interest in biochemical reactions and their kinetics. Information about reactions and their kinetics can be exported in SBML (Systems Biology Mark-Up Language) format.